Malia wants to be a filmmaker, the Associated Press reported. CAMBRIDGE — Will the aspiring filmmaker haunt the Carpenter Center and major in what Harvard calls visual and environmental studies? Or will she take professor Roger Porter’s famous class on the American presidency, where she might hear some unfavorable critiques of her father’s administration? 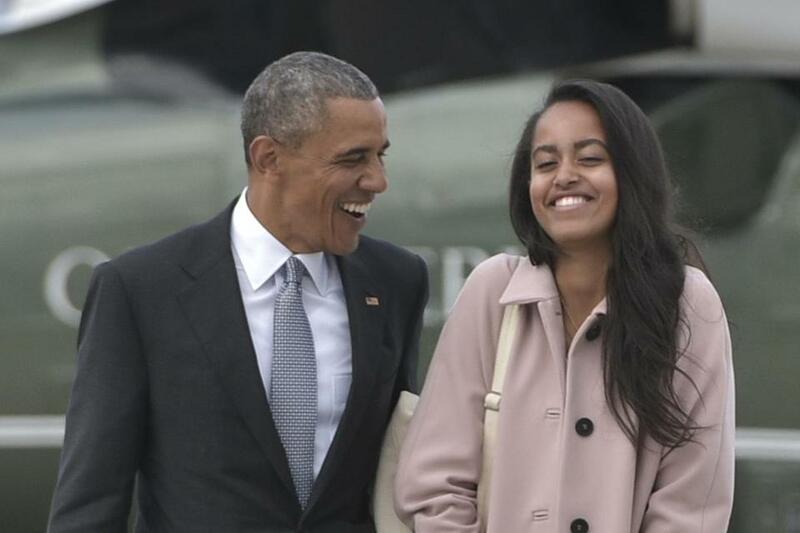 Whatever she decides to study, President Obama’s daughter Malia will be moving to Cambridge in the fall of 2017 to become a member of Harvard College’s Class of 2021, White House officials announced Sunday. Malia was one of 2,037 applicants chosen this year from a pool of 39,041 students, but Obama’s eldest daughter will take a year off before enrolling. The president’s oldest daughter will take a gap year following high school graduation and then attend Harvard. She was also part of a record 14 percent of African-Americans and 48.4 percent of women selected. Harvard encourages admitted students to defer for a year to pursue a special project or spend time in another meaningful way. Students, however, are not allowed to enroll at another degree-granting college. On campus Sunday, many students seemed unfazed by the news that the president’s daughter could be sharing space with them in the august reading room of Widener Library or sitting beside them in one of the vast lecture halls of the Science Center. Students on campus are used to having classes with the children of the rich and powerful. Last year, for example, Xi Mingze, the daughter of President Xi Jinping of China, graduated after quietly studying psychology and English at the college. They’re also used to having heads of state and other powerbrokers passing through campus, giving talks at the John F. Kennedy School of Government or fielding questions at the Law School. Malia, 17, is now a senior at Sidwell Friends, a private school in Washington, D.C., that also educated Chelsea Clinton. President Obama and first lady Michelle Obama both graduated from Harvard Law School. The first lady has said Malia wants to be a filmmaker, according to the Associated Press. She spent last summer in New York City, interning at HBO, and the previous summer in California, working as a production assistant on a CBS science-fiction drama. Students said Malia should expect to find welcoming classmates. “I think the environment here is an accepting one of who she is as individual,” said Nafisa Wara, a freshman studying molecular biology. Nicholas Santiago said he expects students wouldn’t call attention to her, something he said a gap year will help. Obama will have been out of office for nearly a year when she enrolls. “I would try to keep it cool,” said Santiago, a freshman. Others had some advice to offer. Globe correspondent Nicole Fleming contributed to this report. David Abel can be reached at dabel@globe.com. Follow him on Twitter @davabel. Adam Sennott can be reached at adam.sennott@globe.com.